Crittenden Exit , Right to 491 (lebannon rd) to Waller Rd on the Left to home on the Right. Verona Exit, Left to Highway 16 on the right to Waller Rd on the Left to home on the Left. Bring your Family here. 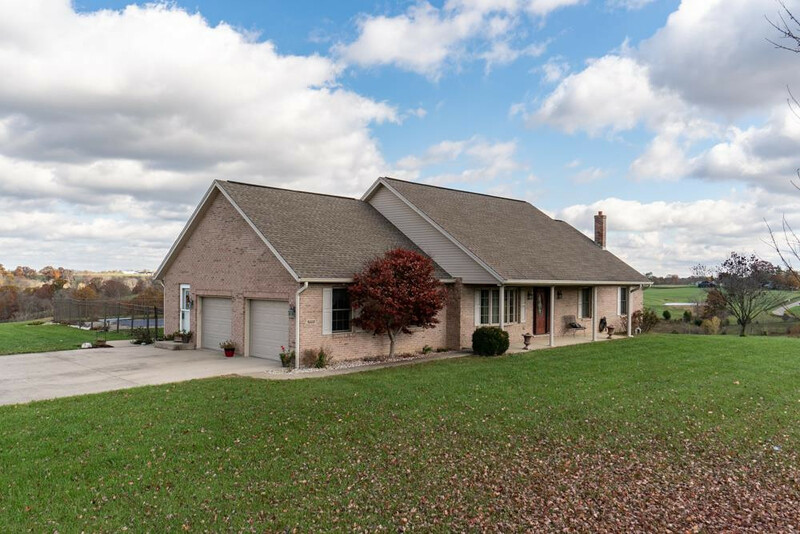 Enjoy this Beautiful 3 Bedroom 2 bath Ranch on a basement arranged on 14 acres. Upgrades are too many to list as you must see to appreciate this beautiful home. Relax on the Patio taking in the Sunshine by the inground pool. A short walk to the Stocked pond will pass hours as you catch fish with your family. The large Pole Building has more than adequate room for your projects and toy storage.